PropTiger is an independent real estate advisor with pan- India presence and a leading online real estate platform in India. PropTiger leverages cutting edge technology and insightful data to guide every home buyer, right from search till possession and also assist them in home loans and property registrations. With a vast experience and knowledge of real estate in India they function on the fundamentals of trust, transparency, and expertise. “Buying a house is an important investment and PropTiger turns it into the best and safest deal for its customers” says Dhruv. It is funded by a group of dynamic and visionary investors like News Corp, SAIF Partners, Accel Partners and Horizen Ventures. Home buyers now have access to a full stack of services – from online search to assistance with transactions with PropTiger’s acquisition of brands such as Makaan.com, OoBI, 3DPhy and Proprates in the recent past. In a short span of time PropTiger has expanded to nine cities with 18 offices and have already helped more than 18,000 customers in buying properties worth over US $1.5 billion with a dedicated team of 500+ Relationship Managers spread across the country. Dhruv Agarwala is an alumni of Harvard University, Northwestern University and Stanford University. 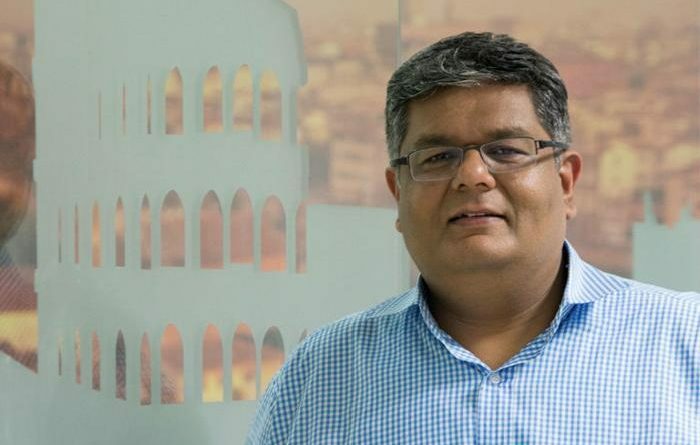 After completing his MBA from Harvard Business School, Mr Agarwala founded iTrust Financial Advisors, a fintech business, along with a classmate from business school. During this time with iTrust he realized the problems that existed in real estate were for consumers in India and he took this opportunity to establish PropTiger that could successfully and efficiently solve all the problems. Team AsiaBizToday reached out to him for sharing some interesting insights (below) from his journey and his market outlook for 2017. I draw inspiration from finding solutions to big problems that make the world a better place. Real Estate in India remains a big problem for consumers and the challenge of solving that inspires me in my daily work. How does the merger with Housing.com help your business strategically? Housing-PropTiger merger is exactly in line with the vision of both companies. While Housing.com is the most popular online platform for discovering homes, attracting 4 million visits per month, PropTiger is one of the largest residential real estate transaction services firms having completed transactions worth INR 10,000 Cr. since it’s founding in 2011. Housing.com and PropTiger are best-in-class in their respective online and offline capabilities and share similar values for the space – to provide trust, transparency and simplicity to the home buying journey. The strategic combination will be the largest company in this space and the only one offering the full range of online and offline services (O2O). Both companies are seeing tremendous growth in their respective businesses and the combined entity expects to reach profitability in the next few years. What are your expectations from the market in 2017? The government’s demonetization move and the implementation of the real estate regulatory bill throughout the country has set the stage for stable, sustainable and transparent real estate sector in the country. This is expected to bring new buyers into the market who were earlier averse to buying homes due to lack of trust and transparency. Housing is a primary need of every citizen and despite the temporary slowdown in the sector, this segment is bound to grow. Banks have already slashed their home loan rates. We are confident this will be a trigger in reviving demand. We see this an opportunity for us to be ready for the revival in the sector. What are the tech trends that could impact your business? AR, VR and 3D related technology: One important factor for great user experience in real estate is visualisation of properties using advanced technologies which gives users an immersive experience of the property. 3D technologies combined with recent advancements in VR and AR are playing an important role in enhancing the property visualisation experience. Two of our acquisitions (OoBI and 3Dphy) demonstrate our belief/commitment towards this. We are driving leadership in this technology area and we will keep innovating in order to provide cutting edge experiences to wider audiences. Machine Learning and AI: Some of the new technology advancements in the field of AI and machine learning have opened a new window of opportunity for us. This has enabled us in developing scalable technology led solutions when it comes to improving listings quality by identifying fake listings and wrong images, image categorisation etc. Earlier human intervention was needed to address these issues, which was non-scalable and expensive. Progressive Web App (PWA): With PWA, we have brought all the benefits of an app to mobile web. The users now get offline access, personalized push notifications and smooth user experience similar to an app without installing one. PWA works very well in the Indian market which has a high percentage of entry level smart phones with low memory as well as poor connectivity. We as an organization have been quick to adopt new technologies and will strive to do that going forward. Do you feel recent regulatory measures would affect liquidity in the market? Demonetization and GST are the two key initiatives which have set the tone for what is in store for the sector in 2017. A more transparent, organized, less cash dominated and consumer-friendly real estate sector holds the promise of low risk and stable returns. With the recent demonetisation move, cash transactions, especially in resale will take a hit. However, we hope to witness a steady revival of buyers’ interest in residential markets across key geographies. The multiple policy and regulatory changes including Real Estate (Regulation and Development) Act, 2016, and Benami Property Act, will pave the way for faster growth of the sector in 2017. Will India be able to achieve the “housing for all” target of 2022? How do organisations like yours, play a role in this endeavour? Real estate has been in a long battle to overcome the trust deficit in the space. However, the year that has gone by has been a landmark year in the history of Indian real estate for its series of regulatory reforms, ranging from RERA, GST, strengthening of Benami Act and currency demonetisation. While all of these will impact the sector in the short to medium term, collectively these changes will bring much needed transparency to the sector. This, in turn, would set the tone for long term sustainable development of the sector and growth of affordable housing, which will be a big enabler for India in its journey towards “housing for all” by 2022. We aspire to play the role of an active catalyst in shaping the future of the real estate sector. For us transparency and customer trust has been of paramount importance. As the biggest digital real estate company, we will support home buyers by providing assistance during their entire home buying journey and making their experience hassle free and joyful. What would you like to achieve in the next couple of years? Indian real estate is a large and fast growing opportunity with the addressable market for players like us pegged to be $7B by 2020. Given the unorganized and fragmented nature of the market, we believe that it is ripe for disruption and that a full service, online-to-offline player would be the most effective in capturing value.